If you live in London, Vancouver, Seattle, Portland, around rainforest regions, in wet conditions, or in cities that expect you to ninja into a rain jacket most of the year, we feel you. You can’t settle for any raincoat. You need something that is designed specifically for the monsoons. Even if you get a good chunk of monsoon rains, investing in these is a great idea. We have rounded up the best from the lot, so take a look! Whether you are looking for a jacket for an outdoor run, hiking, a city trench, or a runner’s essential – there is one to cater to all our preferences (which is how raincoats should be). Here is the list of the best in the market with all things considered. Check it out! This is an all-purpose jacket that is a go-to for many reasons than just rain. 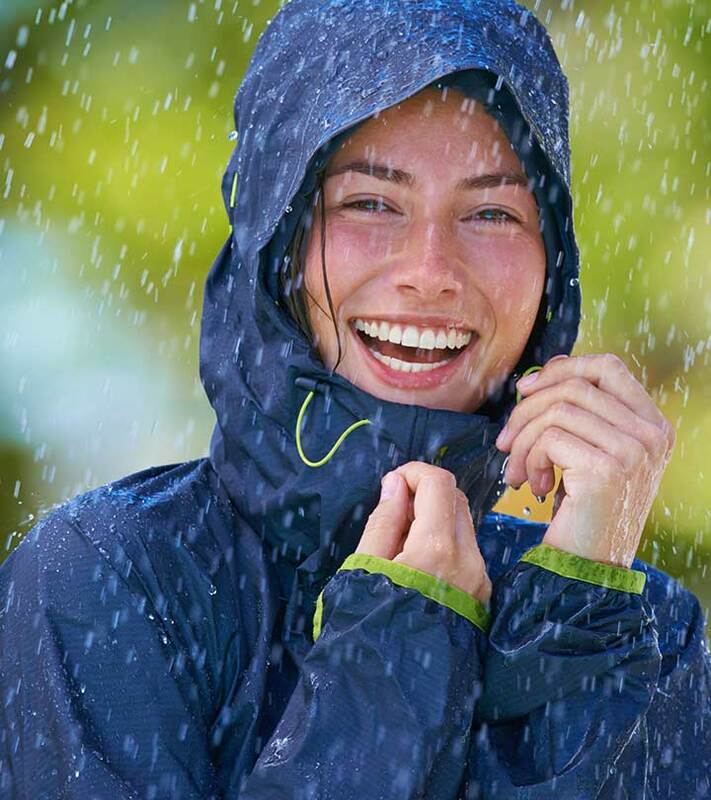 When the weather calls for waterproof jackets, don’t forget you also need something breathable, airy, and warm. The Hally Hansen jacket also protects you fully because of the fleece lining, while the pockets give you comfort and provide extra insulation for your hands. The design embellishment, a back neck ID, and the rare front pocket add to the charm. 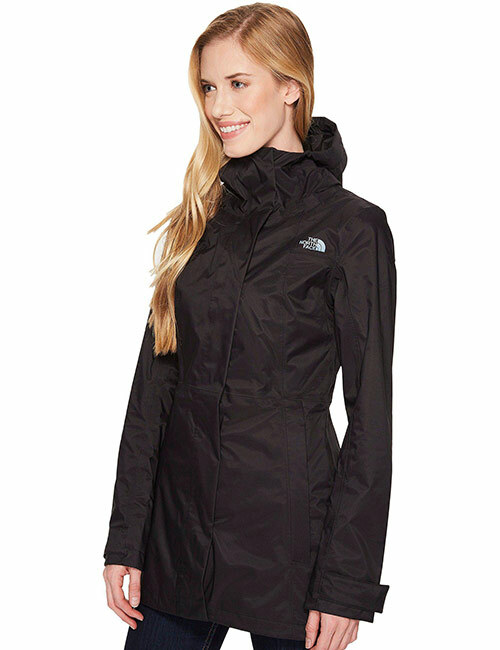 Nobody gets the weather like North Face® does, regardless of the season. 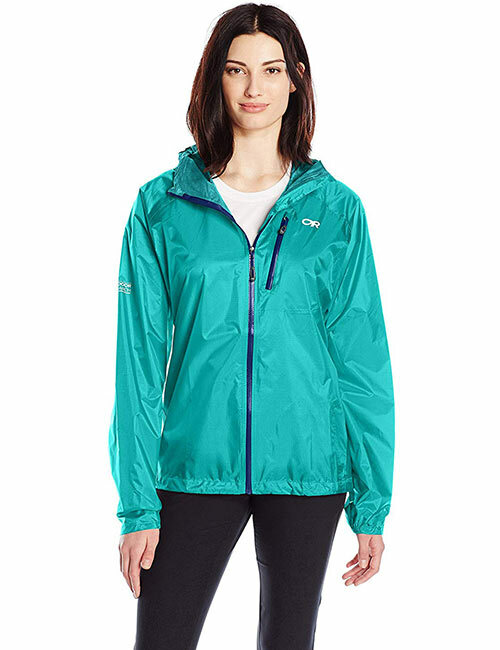 We have all reached out to North Face in winters, but their rain jackets are just as good. The City Midi Trench comes with a storm flap bartack detail covering the center and front zip to keep the water out. The built-in waist shaping defines your body, so you don’t look puffed up. If you are looking for a jacket that is well-made, lightweight, portable, and waterproof, here is your best bet. The Wandertag shell jacket from Adidas fits easily in your backpack and has a flattering and comfortable fit. It also has a security pocket inside that helps a great deal during travel. A rain poncho is a must-have in your bag if you live in cities that get rainfall more than a few months in a year (especially where it starts pouring down without notice). 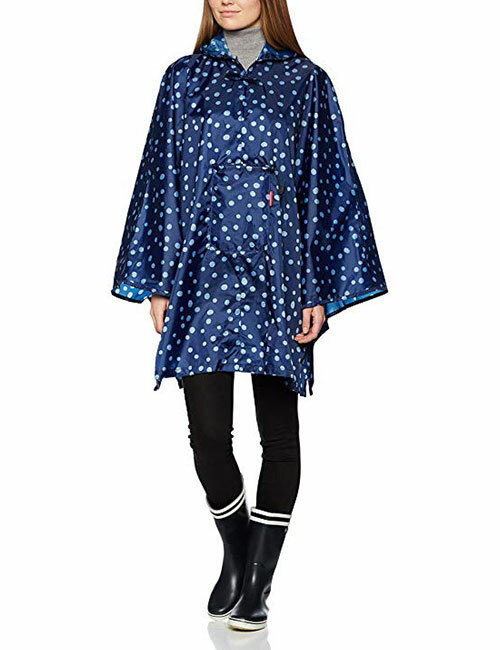 Throw this Reisenthel Mini Maxi Poncho rain jacket that folds into a square, doesn’t take up any space, fully protects you, and looks cute too. Marmot Minimalist jacket tops any chart for beginners and moderate climatic conditions for outdoor activities like hiking, trekking, etc. The material is breathable and temperature controlled, keeping you warm while walking or hiking but without feeling too sticky. The hood, of course, is the USP. 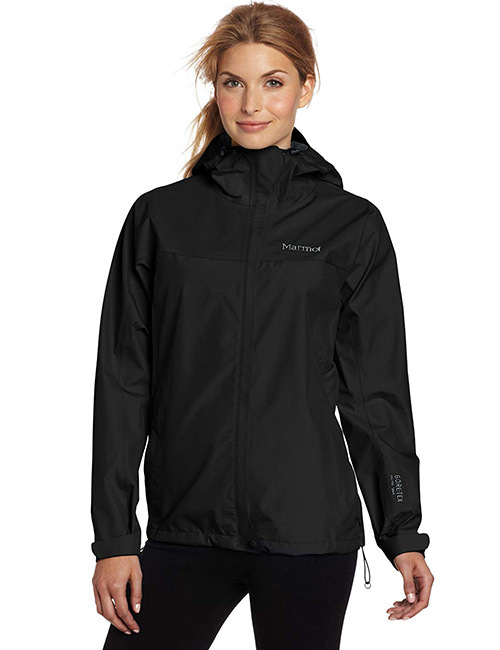 Unlike most rain jackets, the Marmot Minimalist jacket protects you from rain and wind. It is light, does the job, and is value for money. 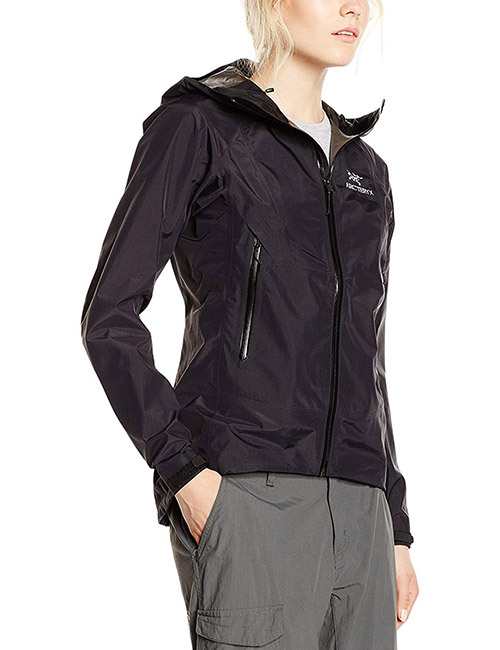 Arc’teryx Women’s Beta SL jacket is made with GORE-TEX fabric that balances off the weight and durability while keeping you thoroughly dry in extremely wet weather conditions. The ‘SL – superlight’ with beta version is an all-rounder. 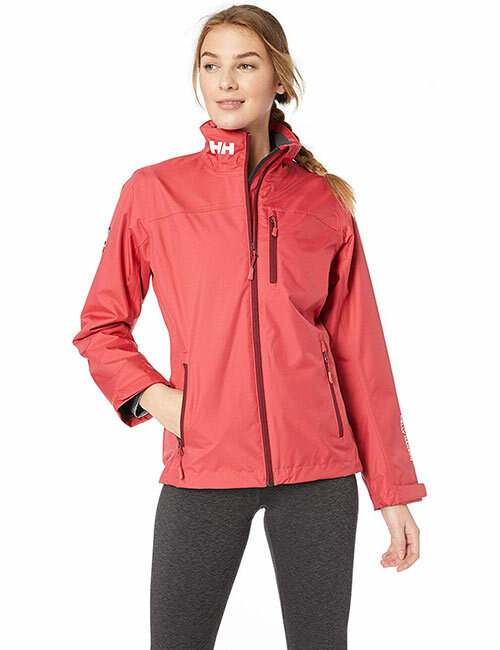 The adjustable zipper, hem drawcord, adjustable cuffs, waterproof hand pockets, and a hood that is compatible with any cycling helmet makes this a perfect companion for outdoor pursuits. 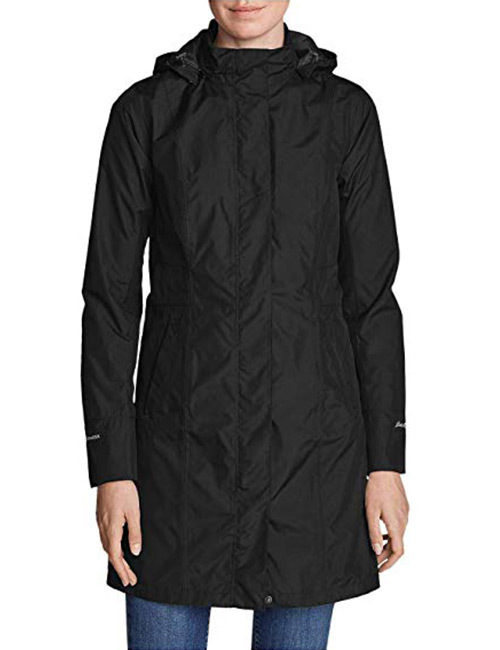 Eddie Bauer On-The-Go Trench is for the street smart city girl in you who, of course, wants to stay dry. The long trench style coat protects you from the wind and rain but in style. 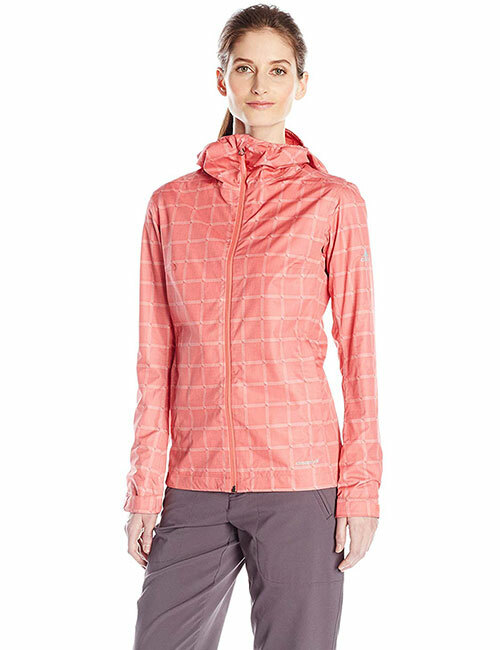 It is a fully encompassing, figure flattering, breathable, and functional jacket all of us need. Patagonia jackets have proven to be the best in class when it comes to cold climates. 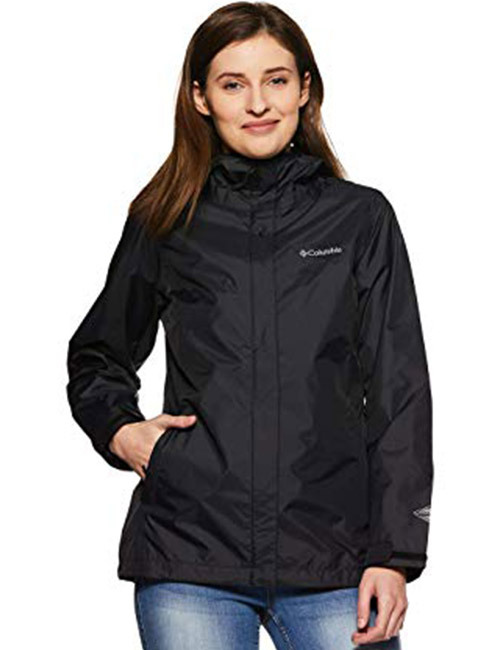 The Torrentshell Rain jacket is yet another great choice from their collection – with a boxy fit, layered fabric, stowable hood, wide pockets, and a cozy fleece lining for the neck, this ticks all the boxes. If you are all about environmental-friendly brands, it’s interesting to know that all their products are made from recycled fabrics. The Columbia Arcadia jacket perfectly balances functionality with comfort and style. The crew neck collar looks smart while the soft mesh lining for the pockets keeps you dry. It comes with an inner drawcord at the waist that allows you to adjust the fit, and the Omni-technology fabric makes it waterproof and breathable. Are you a trekking or hiking enthusiast looking for an extraordinarily light jacket that doesn’t take up space? Then, you should consider Helium II. 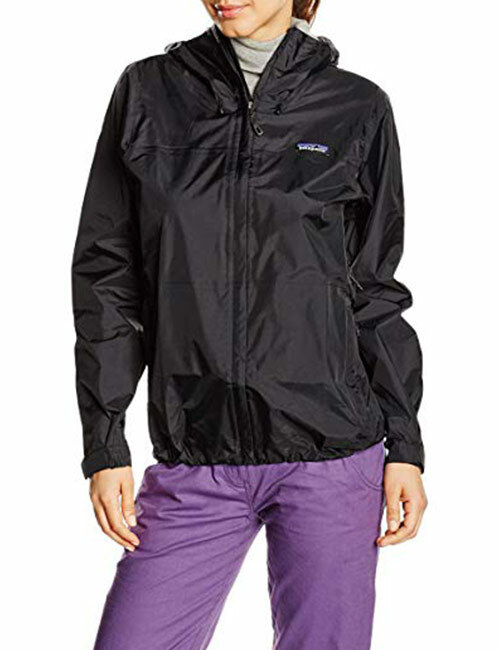 The fully waterproof and breathable rain jacket is made with 30D nylon ripstop with a 2.5-layer membrane. It comes with a Pertex shield and is breathable. It also has an external chest pocket, one internal pocket that acts like a stuff sack, adjustable hood, and a toggle. I regret all those years I didn’t invest in a good jacket and settled for coats that were nothing but make-shift. 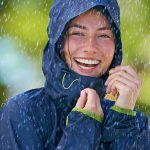 Are you considering buying a rain jacket? What do you look for when you think of raincoats? Did we miss out on something? Let us know what you think by dropping in a message in the comments section below.